Employees are the assets of every organization and its success is directly proportional to the hard work every employee puts in. 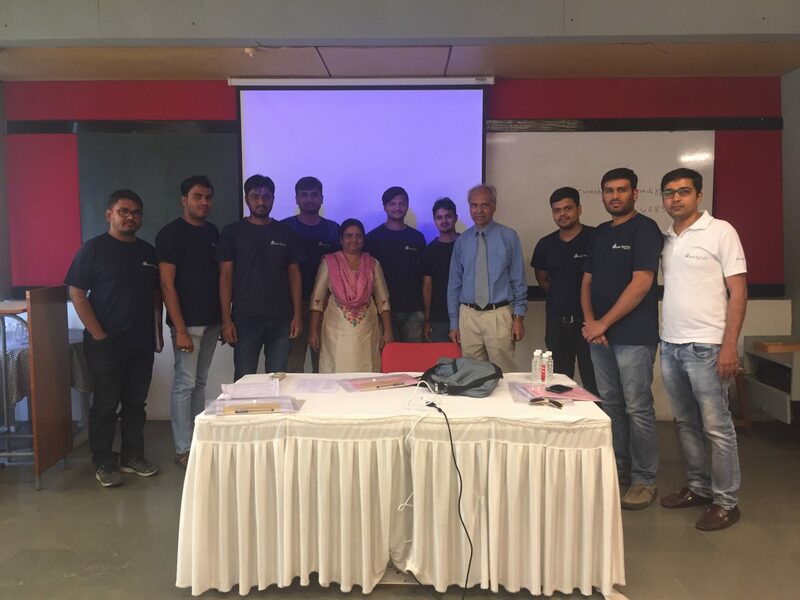 On 25th March 2017 (Saturday) our team leads participated in the interactive workshop “EMPOWERING TEAM BUILDING” held at AMA (Ahmedabad Management Assocation), Ahmedabad. AMA has been providing an active and regular FORUM for professionals in Ahmedabad – Gujarat through lectures and discussion meetings, management development programmes, industry visits, publication etc. Team Building bring employees closer and one feels happy to go to work daily. Individuals start enjoying their work and feel fresh the entire day. Team Building improves the relations and strengthen the bond among the employees. Every one strives hard to achieve a common goal. Team Building also reduce the chances of confusions, misunderstandings and in a way making the communication effective. Individual is very clear about his goals and objectives and what exactly is expected from him. Besides carrying out routine work, a professional is expected to undertake improvement and growth projects including learning and development of teams and individuals. A team is different from a section, department or a division. It is a flat organization with volunteers or nominated persons coming together for a specific common purpose. They may work full time or part time. A team requires a sponsor and a facilitator till it matures. It becomes self sufficient when all the required skills and resources are available within the team or they have access. Self managed, empowered teams produce up to three times more output than conventional hierarchical set ups. Why we need team working? What to expect when teams are formed and as they mature? What needs to be done to make teams effective? How do we get best results in an organizational context. How do we build network of teams? As it was an interactive workshop, participants were free for any kind of open discussion with the each other. Many small team building activities were carried out to understand the importance of a team building. Be fearless & learn from your mistakes. We regularly nurture our employees by emphasizing them to participate in technical, managerial, soft skill improvement sessions – be the part of our LetsNurture team.